Malik El Jamaal has an international pedigree so laden with stars, it is a galaxy unto itself. 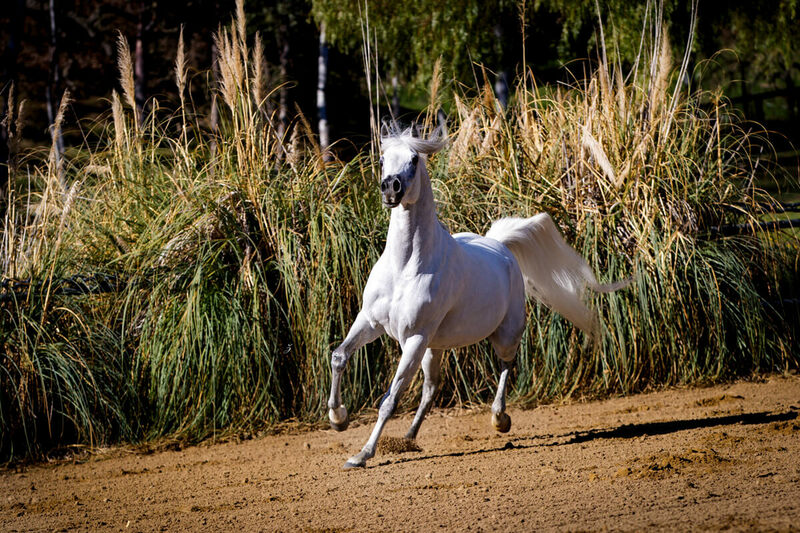 Malik was the first purebred stallion acquired by Mohamed Jaidah for Al Jood Stud, and is still a special favorite of its founder. “He was never shown, but he holds a very big place in my heart,” Jaidah relates. 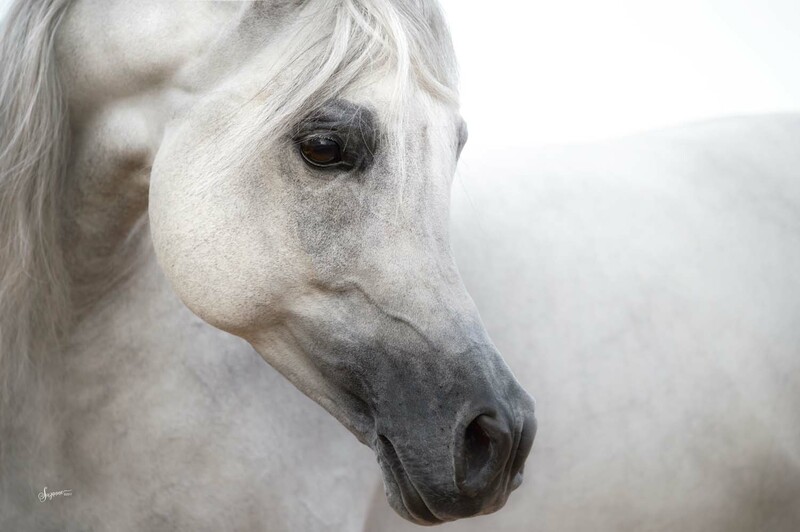 “His pedigree is unique and special as he is by Ludjin El Jamaal and out of one of Gazal Al Shaqab’s best daughters, Pinga. These two parents are exceptional and neither have other sons at stud in Europe or the United States.” In keeping with his international heritage, Malik El Jamaal is standing at world-famous Wilson Training Center in the USA. Ludjin El Jamaal was bred in Brazil by Lenita Perroy at her world famous Haras Meia Lua and became a herd sire for Count Federico Zichy-Thyssen’s renowned breeding program in Argentina. 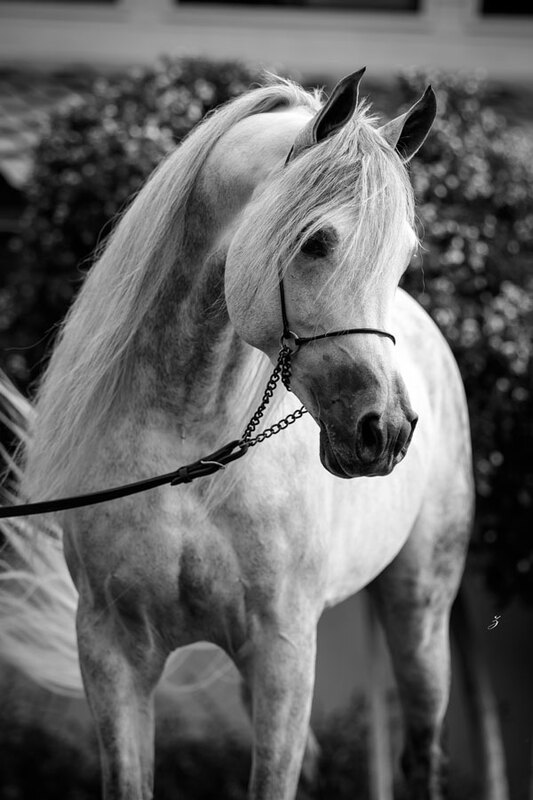 Ludjin El Jamaal was a Canadian Top Ten Stallion during his short show career, before siring offspring that have themselves produced World Champions. 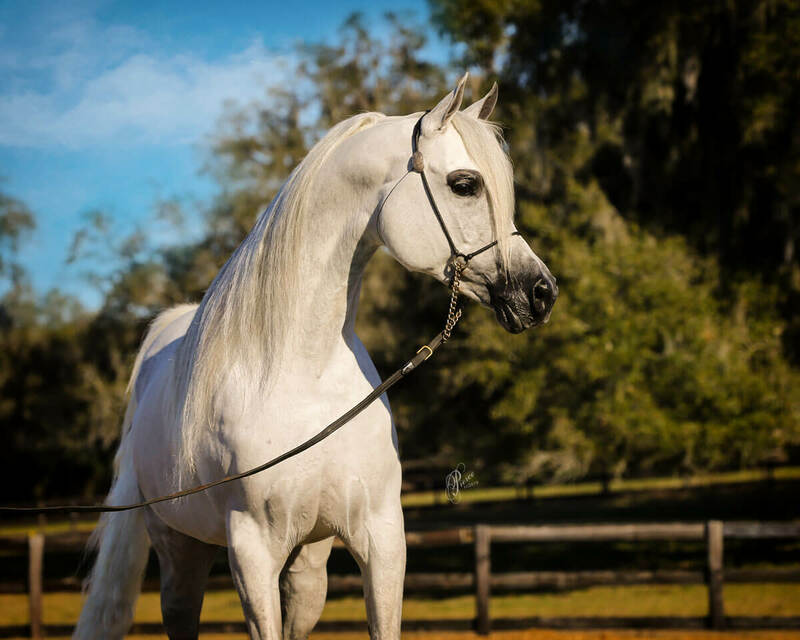 His sire, U.S. National Champion Ali Jamaal, is one of the most prepotent and noteworthy stallions the breed has seen, while his dam is a daughter of the legendary World Champion El Shaklan. Malik’s dam, Pinga, won titles all over the globe including those of 2010 Polish National Gold Champion Mare and 2012 Gold World Champion Mare. 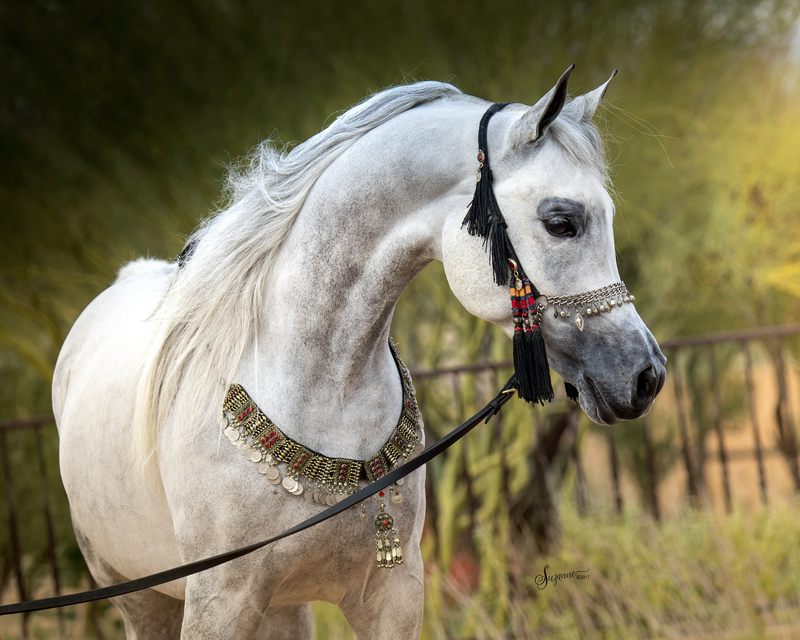 Her sire, venerated World Champion Gazal Al Shaqab, is considered by many to be the “father” of the modern Arabian show horse due to his extreme prepotency as a sire. Her dam, Pipi, was a Polish National Champion Filly out of the ethereal World Champion Mare, Pilarka. 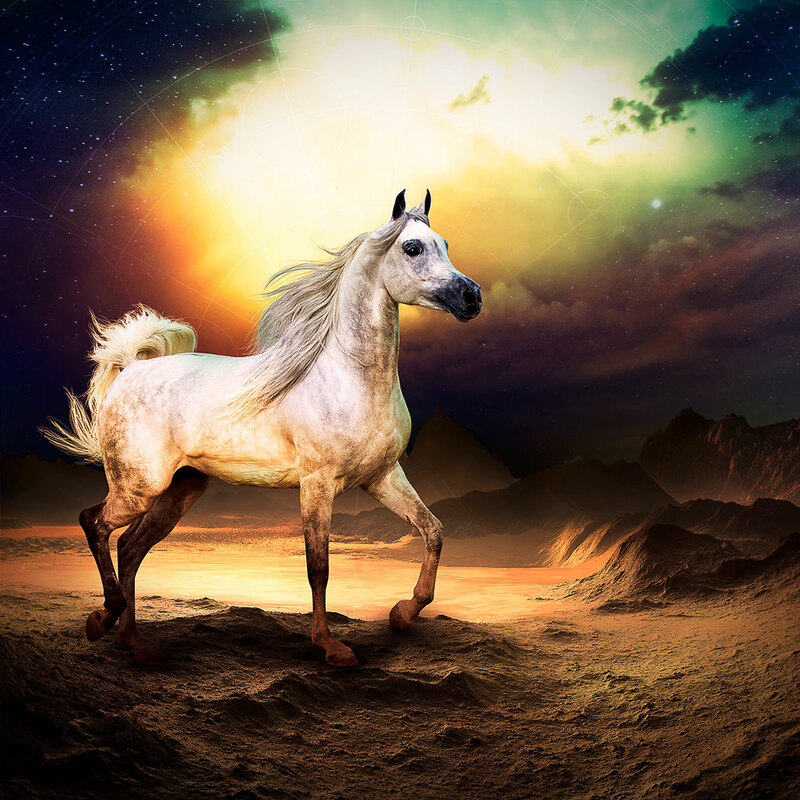 “Malik is such a sweet and well-conformed stallion and has proven to be a great sire,” Jaidah continues fondly. “It is interesting that he has more fillies than colts and I am very happy with what he has given.” One of those colts is AJS Hilal El Malik who is out of one of the Al Jood foundation broodmares, FS Hibah El Perseus. 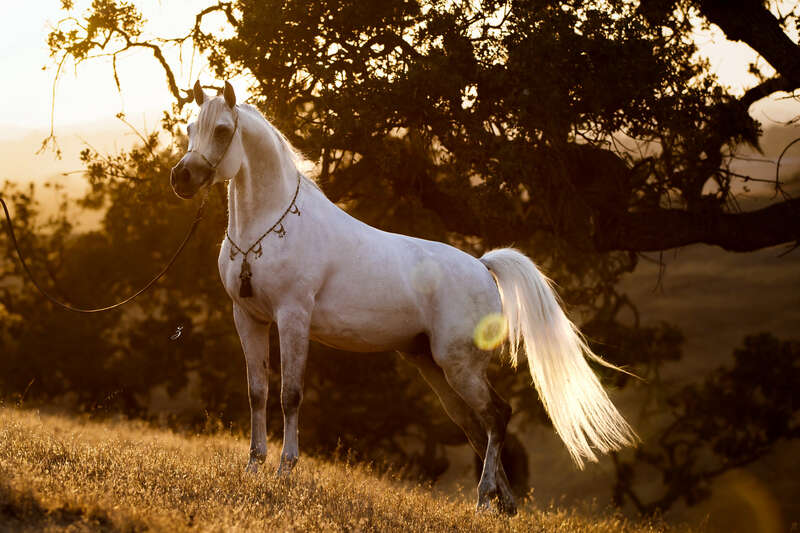 By Perseus El Jamaal, she is a paternal half-sister to German Gold National Champion Senior Mare, Amalia Serondella. Among the bevy of beautiful fillies sired by Malik El Jamaal is 2018 addition AJS Shakira El Malik, from the lovely Sanadik El Shaklan daughter, Om El Shadiva. The 2017 foal crop had several exquisite fillies to represent it, including the inimitable AJS Lady Marmalade. She is an exciting show prospect out of the Marwan Al Shaqab mare Desha Mar-Ci, who previously produced a full sister, Marjaan El Malik. 2005 Canadian National Champion Futurity Filly Ladie Magnum was also bred to Malik El Jamaal with outstanding results in the form of their daughter Layali El Malik. Ladie Magnum is already the dam of a triple-National Champion. AJS Loulou El Malik (x Lolah El Javier), AJS Khamelia El Malik (x Khaleesi SWF) and many others add to the impressive total.